Damlag’s elCinema is considered to be the largest database for arabic and international movies and series. It’s a unique portal for movies’ addicts to know where and when their favourite movies are played all over the different parts of the country. In addition, elCinema users can book movies' tickets at their convenience through their dedicated website. 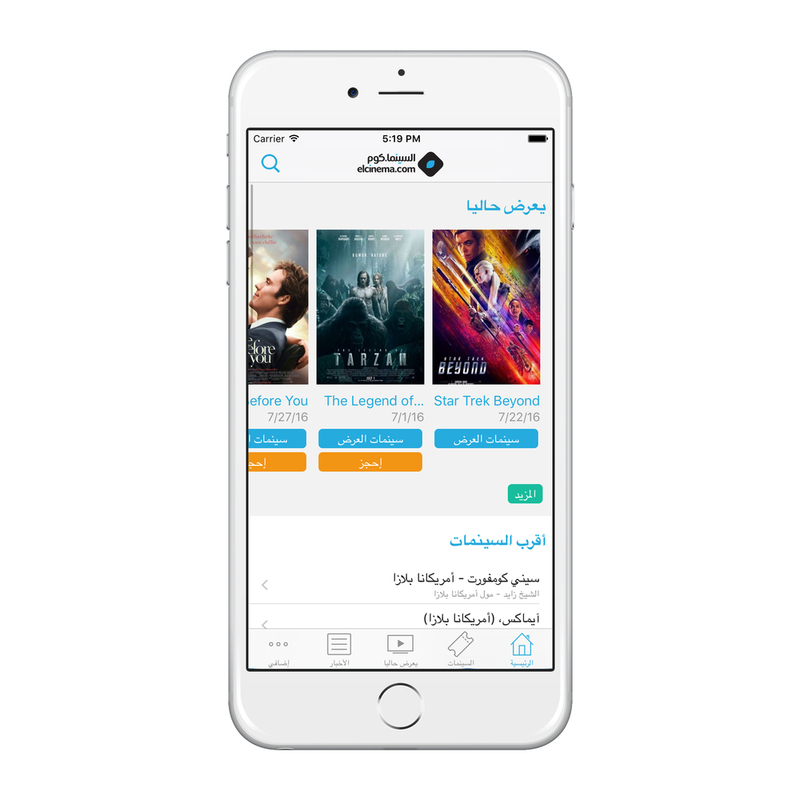 We’ve partnered with Damlag to build elCinema’s iOS mobile application and we’re proud to claim that the application is currently used by numerous iPhone users to enjoy elCinema’s different enormous features. Find nearby cinemas, their rating and playing now movies. The app has a detailed view for each movie includes movie summary, parental rating, cast list, available in cinemas, and users reviews. View you artist bio, photo album, filmography.